We’ve been sending more and more frames to the epicenter of eyewear, Italy, and are quite proud. 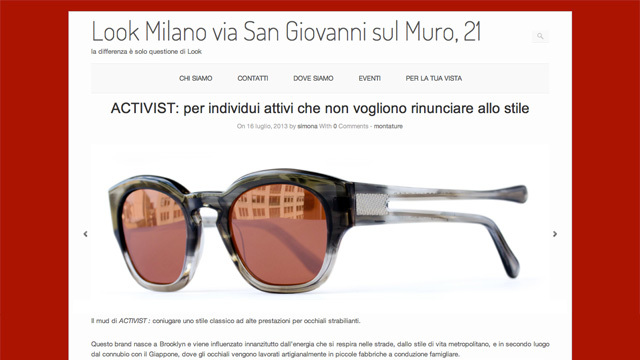 Helping to spread the word, the online fashion site Look Milano did a spread on our entire line. We’re big Valet. 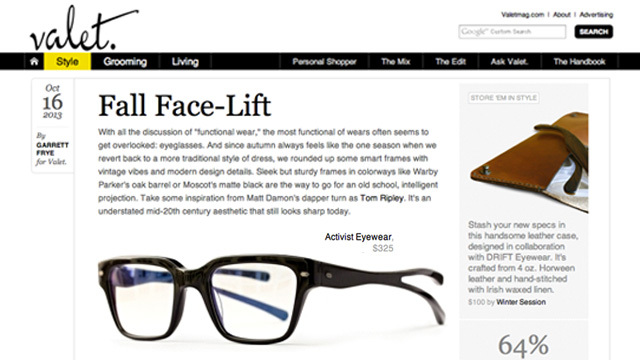 fans so we were thrilled to see our Krieger in this “Fall Face-Lift” feature. 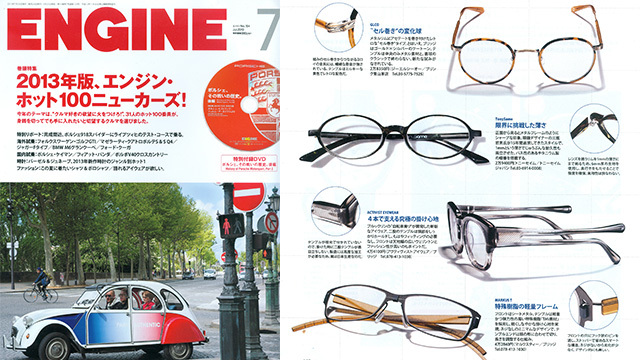 Japan’s Engine magazine featured our Livingstone in the July edition. As always, we’re especially pleased to be amongst other great brands, the likes of which you can see below.